Cannot find any info on that in the MM3 guides either, so...maybe anyone here knows the answer? That's something you gotta ask kuja, since he's like the MM3 god. Also I was curious about the Item usage pointers for each weapon in MM2, since I was screwing around with some patches. Last view: 95 days That looks cool. Okay, since nobody's responded, I'll bite. 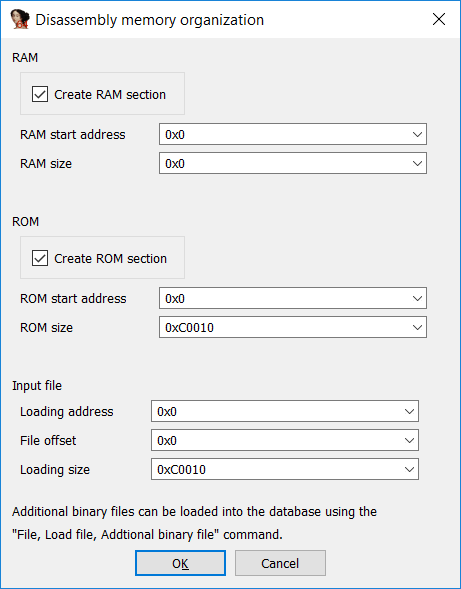 While I still have no clue where the ROM and RAM sections begin/end, there is a Megaman 3 disassembly I found, so you can just check it out and see if it specifies the ROM/RAM addresses you need. I would help, but I have been somewhat busy, so yeah. There's also the Data Crystal entry, which does have some info on the ROM/RAM maps, although it's less extensive and probably less useful. And I would say check kuja killer's docs, but it seems you already did, so yeah. I'm unsure if this helps, but I tried. Huh, I didn't know that MM3 disassembly existed! Thanks for the info, that actually changes everything! I really hope kuja killer sees that post about the disassembly. 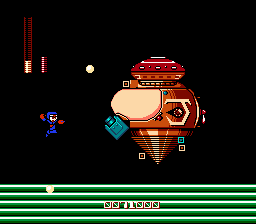 Maybe he and Raidenthequick could collaborate to create a complete disassembly for Mega Man 3 Improvement! That would be absolutely amazing as well as a giant step forward in terms of Mega Man 3 ROM hacking. So...how do I make sure kuja killer sees that disassembly post? Last view: 1 day Primarily, I've been focusing on level designs on paper and conceptual sprite work, but I'm still making some progress. 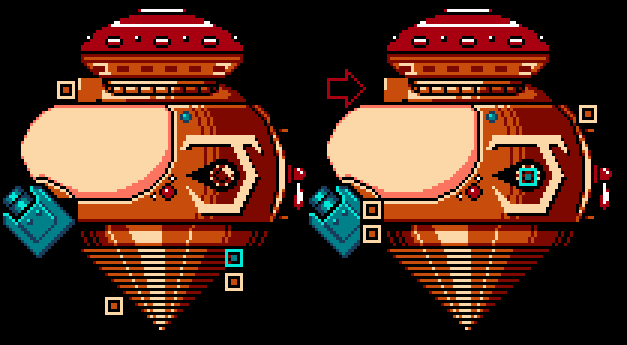 So in the meantime, have the first phase of the "Wily" machine. On the left is how it would (kind of) look like without moving the position of tiles (in case that screws up the hitbox or I can't find out how to edit it or something) and on the right is basically how I initially envisioned it as. Obviously, Saucer is still not done, but just wanted to share this at least. Last view: 1 day So the machine's graphics (at least the first phase) have been integrated for the most part. Now I want to check if I can move the tiles in any way, since it's apparent they're not regular blocks. The one on the left is how it looks in game and the one on the right is what tiles I want to switch around (the squares, with brown being background and blue being entity). I'm pretty sure I'd need to check the tile position data for the entity, but I'm unsure about the background tiles. There's also a tile I wanted to change as well, since they reused another tile from the body (for some reason). I also want to check out if I can change the palettes applied to some of the tiles. Again, I'm pretty sure I need to check the sprite data for the entities, but not about background tiles. If anyone can help at all that'd be appreciated. Thanks . Last view: 6 hours Are these Romhacks Good Idea? Last view: 11 hours I have a question about how Mega Man 6 does screen transitions. I'm aware of object $80 and how its x and y coordinates determine scrolling, palette changes, etc. But has there ever been any documentation about what coordinates trigger what effects? Last view: 70 days Happy holidays, posting from my mobile device. Puresabe Neoぼろくず工房 is planning to リリース (Release) one of his traditional New Year's Day fangames on his website. I live in the United States so my midnight time is 10:00am. I should start playing blindly on camera for YouTube after the New Years Eve DJ party from my Japanese musician gospel friends. Keep an eye on it. Last view: 5 hours yup looking forward to it. "It wasn't being announced in twitter, but I'm planning to greet the New Year and release a hack of Rockman 5 immediately between 00:15-00:45 (japan time). It's the small one for which it doesn't also take 10 minutes, but for persons who likes such thing, look forward to it." Last view: 1 hour Cool! Since 2019 is Year of the Boar/Pig, I'm guessing its Hyper Storm H this time? But that's for the Genesis. Cool! Since 2019 is Year of the Boar/Pig, I'm guessing its Hyper Storm H this time? But that's for the Genesis. Part of me says Ride Boarski and the other part says Ganon. And I can't tell which part of me is crazier. Last view: 5 days Yo, Kuja Killer, ever tried to team up with the guy who made a split disassemply of Mega Man 3 to make a split disassemby of Mega Man 3 Improvement? Pretty please? Also, i wouldnt know how to do any sort of disassembley thing. Im afraid everything i did for mm3 improvement was purely 100% hex only. I never used a assembler or anything like that once. Thats why i tried to always keep track of every change i ever did in the "notes" text ...with the hex - which i know is almost totally useless to most people. So the machine's graphics (at least the first phase) have been integrated for the most part. Actually, is it okay for me to repost? I'm not overly familiar with the rules of the thread. I can delete the message just in case. 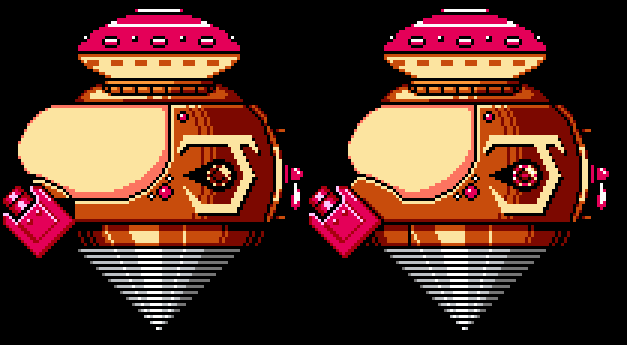 Say I want to edit the palettes of the Megaman 1 bosses to be the same as the Megaman 2 bosses. But, certain Megaman 1 bosses have the same palette, and I want them to have different palettes. How would I go about changing the palette of the bosses? Last view: 1 day So I was messing around with MM3 a bit to see if implementing my character was possible there with Matrixz's CSA. However, I ran into a problem with mirroring. When he's facing left it looks perfectly fine but when he faces right it looks unaffected. I have no idea what causes this, although I assume direction facing has to do with it. Anyone has the answer? Last view: 5 hours i personally dont know how to use the capcom assembler program, and dont need to for my game but about that though. mm3 has 2 sets of "X and Y positions" for a frame. a left facing and right facing version. again dont know how the capcom assembler handles it though. This is kind of annoying though that you have to edit both copies to be correct for both left and right. megaman 5 fixed it to only just use 1, which automatically applies to both directions. There is a way to do it for mm3 too by editing the coding directly, for the sprite tile drawing stuff, but i dont remember what it is you have to do exactly. MySQL - queries: 117, rows: 157/0, time: 0.193 seconds.